After eight years of protection under DACA, President Donald Trump decided to rescind the program on Tuesday, putting some 800,000 young, undocumented immigrants in legal jeopardy and at risk of being deported. One of them is 25-year-old Jonathan Jayes-Green. An afro-Panamanian immigrant who came under DACA protection at age 13, Jayes-Green said the administration’s announcement has triggered a palpable level of fear and anxiety among those protected by DACA and other undocumented Black immigrants, but it has also stiffened their resolve. The DACA recipients, often called Dreamers – most of whom came to the US as children – have had the support of about 75 percent of Americans and a broad swathe of those in Congress. All too often, Latinos are portrayed in the media as the faces of the undocumented, but Jayes-Green and compatriots like Opal Tometi – who serves as executive director of Black Alliance for Just Immigration (BAJI) and is a co-founder of Black Lives Matter – have worked to spotlight the assortment of realities and challenges faced by Black DACA recipients and undocumented immigrants. “By canceling the program President Trump is yet again pandering to white supremacists over immigrant, Black, and poor communities, as well as millions of organizations, businesses, and allies that support DACA recipients,” Tometi said in a statement. There are 3.8 million Black immigrants in the United States from the Caribbean, Latin America, Africa and Europe and they comprise about 10 percent of America’s foreign-born population. In New York, Black immigrants make up almost 30 percent of the total Black population in the state, while Florida is second on the list with more than 20 percent of its Black population being foreign, according to BAJI. According to a recent report focusing on Black immigrants commissioned by BAJI and the New York University School of Law, there are 565,000 Black undocumented immigrants. They are less likely to be in the U.S. unlawfully. Among Black immigrants from the Caribbean, 16 percent are undocumented immigrants as are 13 percent of Black immigrants from Africa. 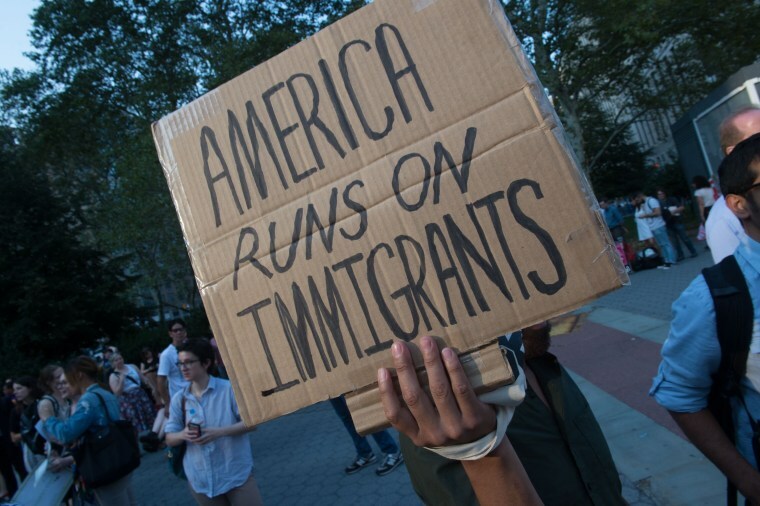 Both BAJI and UndocuBlack are creating spaces for the Black undocumented immigrants “to heal organize and be empowered by each other.” Jayes-Green has stated in other interviews that his organization seeks to “Blackify” the undocumented immigrant narratives and facilitate access to resources for those communities. BAJI, an education and advocacy group made up of African-Americans and Black immigrants from the diaspora, was created in 2006 in response to the opposition of immigrants that manifested itself in repressive immigration bills then under consideration by the U.S. Congress. BAJI has created a detainee support toolkit as well as collaborated on a series of “Know Your Rights” videos created by Immigrant Defense Project on how to prepare for an encounter with ICE. After Attorney General Jeff Sessions' announcement, demonstrations and marches sprung up around the country. Denver students staged a walk-out. Throngs of demonstrators shouted “Shame on Trump" in front of the Trump International Hotel in Washington, D.C. Civil rights leaders were quick to condemn the declaration. Even former President Barack Obama broke his self-imposed silence to slam Trump. It is now up to Congress to come up with a long-term solution.